Campbell Brown — the next hero of corporate reform | Daniel Katz, Ph.D. Following the Vergara decision in California where a judge declared that teacher labor protections violated students’ rights to a quality education, former NBC news and CNN personality Campbell Brown announced she would help bring a similar suit to New York State. This is not Ms. Brown’s first foray into anti-union activism aimed at teachers. In 2012, she unleashed a series of tweets that attacked New York City’s United Federation of Teachers for allegedly placing protection of accused sexual predators over children, and she penned an editorial for the Wall Street Journal demanding that the New York City Chancellor of schools be given absolute authority to fire teachers so accused without the use of an independent panel. Brown provided no evidence for accusations that this was a significant and mounting problem as she portrayed it, preferring a classic line of argumentation that any outcome a large number of people can agree is potentially wrong must mean the entire system needs to be turned upside down. In this case, the UFT defended maintaining due process rights for teachers accused of misconduct, which prompted Brown to insist they wanted genuine sexual predators returned to the classroom — without Brown bothering to examine details such as what percentage of accused teachers were actually cleared of wrong doing or what percentage were fired and prosecuted. Brown portrayed herself at the time as simply a mother of two who was concerned about the effects of union job protections on children, but other sources have demonstrated she has a deeply personal conflict of interest that may be influencing what causes she is championing. 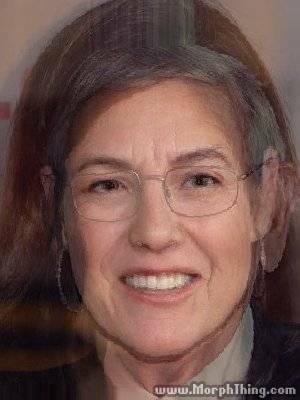 Ms. Brown is married to Dan Senor who was the chief spokesman for the provisional authority following the invasion of Iraq, and in 2012, he was a senior adviser to Republican Presidential candidate Mitt Romney. Further, Mr. Senor sits on the board of StudentsFirstNY which is a part of Michelle Rhee’s network that expressly fights against teacher unions. In response to union supporters and other journalists noting her apparent personal stake in making teacher unions a source of public outrage (a Romney administration certainly would have helped Mr. Senor’s career), Brown took the pages of Slate.com to sarcastically express her surprise at the push back and to take a little dig at her critics. It is two years later, and Campbell Brown is delighted at the Vergara decision, and she is now partnering with high profile former Obama administration officials to craft similar lawsuits elsewhere beginning in New York. The outcome is uncertain even though the Vergara case was based on exceptionally poor reasoning: many of the plaintiffs could not demonstrate that they have had “grossly ineffective” teachers, the judge misused the expert testimony and relied upon highly controversial research findings to determine the scope of damage that can be tied to a student having a poor teacher. Brown, now allied with Obama spokesmen Robert Gibbs and Ben LaBolt, given pro bono legal services from former Bush administration adviser Jay Lefkowitz and presumably bankrolled by Michelle Rhee and her corporate allies, will likely bring a sharper and slicker case to New York. This case is the apotheosis of corporate reform of our schools. Teacher unions, while not perfect, stand as a safeguard that the people closest to the children in the classroom can negotiate for fair compensation and work with knowledge that they have due process in employment despite the highly public and sometimes contentious nature of their work. Moreover, the teachers who make up their unions are the people, after parents, most connected to the individuality of the children entrusted to their care. But corporate reform insists that looking at individual factors and looking at community factors is “making excuses” and that what you need are common standards, high stakes testing associated with those standards, teacher evaluation based upon test scores and then firing the “right” teachers based on those measures. Corporate reform is decidedly uninterested in discussions about poverty and rising income segregation and insists that every problem in school can be laid at the feet of “bad teachers”. The only major, organized, groups in the way of that are unions. Rhee’s “Students First” organization should really be renamed “Teachers Last” because the main purpose of its legislative and litigation strategy is to put parents against teachers and to capitalize on America’s 30 year labor decline to break the AFT and NEA. Michelle Rhee is a formidable organizer and fund raiser, but she is also under scrutiny for lacking real substance behind her thinking and for the practical outcomes of her approach to school system management. After her politically strained tenure as Chancellor of D.C. public schools that contributed to the defeat of the mayor who recruited her, Rhee is not a public face for corporate reform who can go to the cameras without getting scrutiny. In steps Ms. Brown as a fresh face for corporate reformers. By now, many of the players are well known. 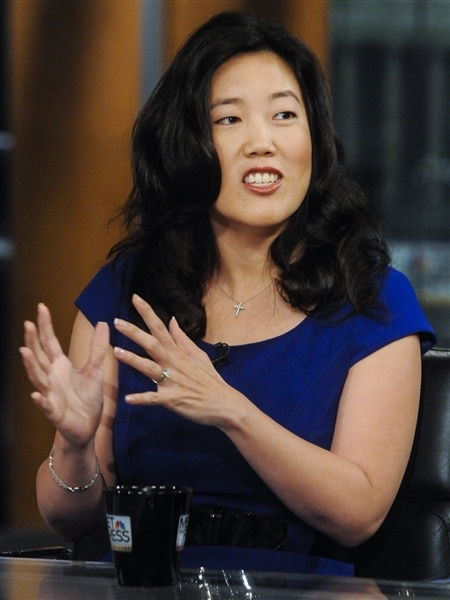 If you are talking about attacking teacher unions, you are talking about Michelle Rhee. If you are talking about Common Core State Standards, you are talking about Bill Gates. If you are talking about standardized testing, you are talking about the Pearson Corporation. If you are talking about mass data mining and technology, you are talking about Rupert Murdoch. We know this by now, and even some mainstream media sources are making the connections. Campbell Brown presents herself as a media savvy personality who is in this fight as a “concerned mother” while Rhee and other anti-union forces provide the strategy and financing. But when you see Campbell Brown, you see Michelle Rhee. 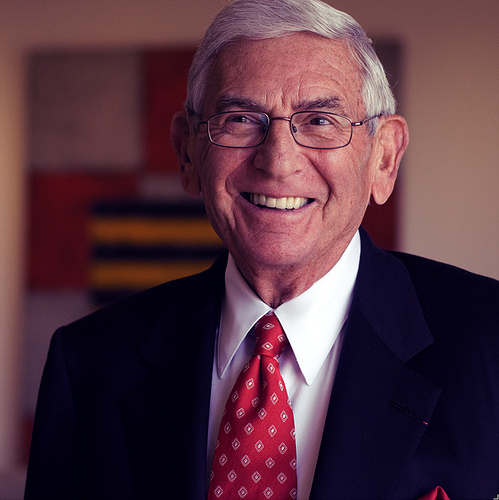 And when you see Michelle Rhee, you see Eli Broad. And that just isn’t a pretty sight for teachers. Brown-Rhee-Broad — This face keeps me up at night….